MonoStep™ Lowicryls are pre-mixed, ready to use low temperature embedding media that saves time and minimizes chemical contact. They are ideal for use in protocols requiring immunohistochemistry. 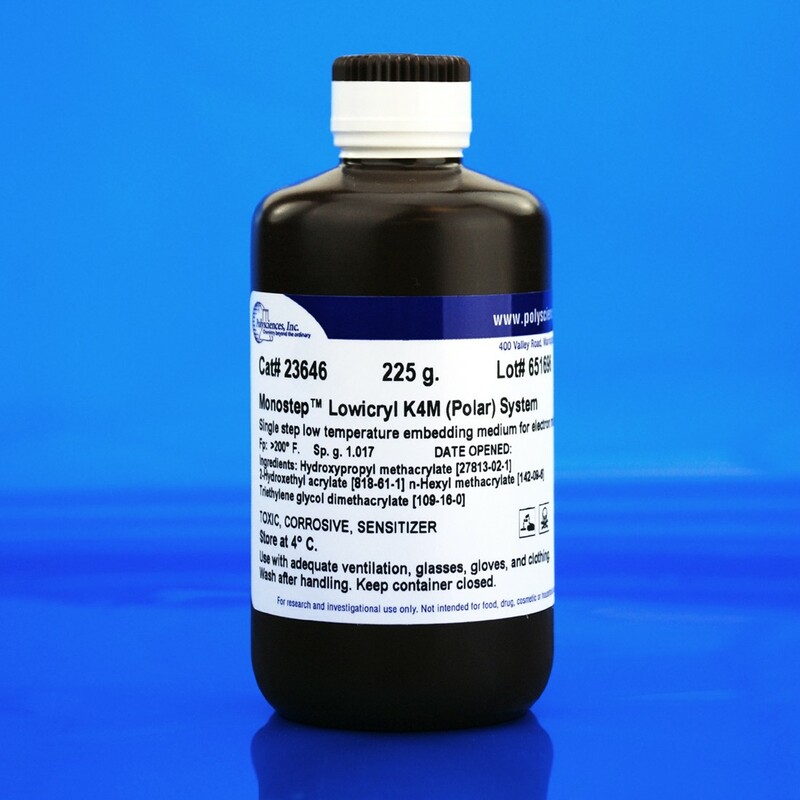 MonoStep™ Lowicryl® K4M is a polar, hydrophilic, embedding media that is based on our popular Lowicryl K4M formulations for applications requiring temperatures as low as -35ºC. MonoStep products are especially appropriate for immunolabeling resulting in better preservation of antigenicity and lower background labeling compared to other methods.